The multi-talented PC-12, as featured in City A.M.
“The private plane I’m boarding at South London’s Biggin Hill would be ideal for anyone who owns a desert island or alpine ski lodge. It’s a multi-talented Pilatus PC-12 NG. 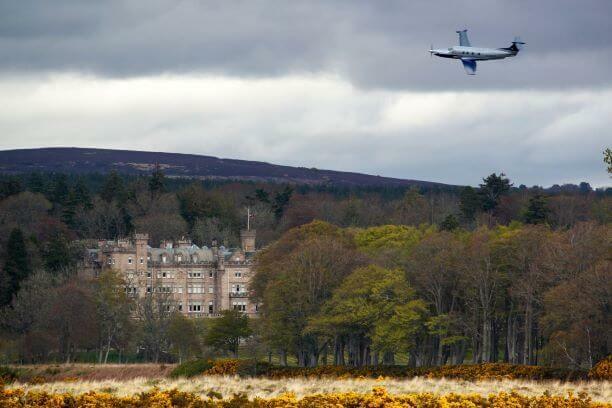 My destination is closer to home but even more exclusive: The Carnegie Club at Scotland’s Skibo Castle. Emerging from the BMW-designed cabin, we’re met with a proper Highlands welcome. A kilted bagpiper giving it a lung-full. The music comes courtesy of David Munro, a friendly farmer and owner of this picturesque airstrip who is such a fan of aviation he doesn’t charge a landing fee. When he “heard a PC-12 was coming he laid out the tartan carpet.